Rated 5 out of 5 by Jam 61 from My hair is growing back! I am on my second bottle of Initialiste and could not be happier! For a few years I've been battling hair loss with medical specialists and nothing worked. After using Initialiste for 3 months I noticed my hairline was filling in and my hair felt stronger and looked shinier. I couldn't hope for better results and highly recommend! Rated 5 out of 5 by Jules14 from Great Product I'm a woman in my 50's, and began to experience hair loss at an alarming rate. This product was recommended by my hair stylist. Be patient. It takes a bit of time. Use as directed. The results have been wonderful. The hair loss has stopped, and my hair looks healthier. A bit pricey, but worth every penny. Rated 4 out of 5 by natpat95 from Nice, but not a “Miracle Product” I bought this after noticing a significant amount of breakage in my bleached, platinum hair. After using the entire bottle, I honestly didn’t see too much of a difference... I didn’t think it was a miracle product like other reviewers are saying. There may have been a *slight* difference in my hair’s health, but I think that could also just be the result of me treating my hair more cautiously (less hair drying, less heat styling, switching to boar bristle brushes/large tooth wooden comb, using a shower filter, and frequently applying hair oil). I will say it smells AMAZING (probably the main reason I’m tempted to buy it again haha). Also I love how luxurious the bottle feels. But would I buy it again? Probably not. I don’t have any complaints, but there just wasn’t enough improvement from this product alone to justify the price. Rated 5 out of 5 by Lmarieq77 from Transformed my hair At first I didn’t notice the difference until I used this for a couple weeks but after that I noticed that my hair and scalp was so much healthier . My texture has improved now I can’t live without it and ordered more. Rated 4 out of 5 by BelleDeJour from Positive results confirmed! I bought this several months ago (in winter), when my severely bleached (we're talking dark dark brown to platinum blond) hair was terribly damaged. Lots of breakage and hair was very thin - constantly had to get haircuts because the ends looked like a broom (dry brittle coarse). Even had difficulty blow-drying my hair, as the hair was just breaking off...awkward! After doing a significant amount of research online, I purchased this, as well as several of the products from the Resistance line (the Level 3-4 Shampoo and Conditioner, and heat protectant). OUTCOME: I'm very pleased to report that my hair is showing significant signs of improvement, thanks to regular use of INITIALISTE, in conjunction with the Resistance Shampoo + Conditioner. (I also stopped dyeing my hair so blond. There is still damage on the ends, but overall I believe these products have helped my hair recover and look like real hair again!) Hair is growing nicely, looks nourished. Will purchase again. Rated 5 out of 5 by ILOVETULIPS from AMAZING MIRACULOUS PRODUCT!!!!!!!!!!! I am not a person who leaves reviews often but I feel so strongly about this product that I am compelled to do so. I have used this 3x and already my hair has totally transformed from dry and dull to smooth and silky! 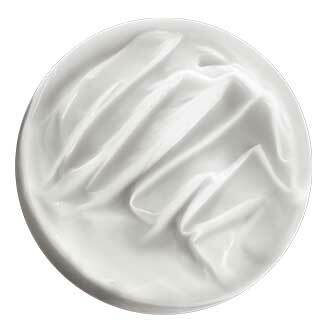 My husband said to me tonight, “You’re hair feels amazing like silk!” I cannot imagine my life without Initialiste. It is definitely the best hair product I have ever used. I have used Kerastase products for many years. I have tried almost every masque they make and some of the shampoos and styling products. I love them but this is the game changer!!! Rated 5 out of 5 by ValerieM from Love this product! I purchased this almost two months ago and use it about 2-3x a week after the shower. I already have naturally thick hair but by using this and Kerastase shampoo and mask my hair has grown significantly in the last two months. I highly recommend it. Rated 5 out of 5 by JacquieCardz from Very Good I just purchased my third bottle. My hair is everything to me, its thick, full, and color-treated about 4 shades my original color. I'm diligent when it comes to protecting my hair. I apply the Initialiste to my scalp in sections every time I wash my hair (about twice a week). When my uncolored treated hair started coming out, it looked shinier and stronger. After I retouched my roots, the area is still as smooth and shiny and strong as before. So, as my hair is growing and I'm coloring it, it still looks vibrant and healthy. I stopped using it for about three washes, just because I didn't plan my repurchasing time well enough, and my hair seems to lack life. That might just be me knowing I haven't been applying it to my scalp and probably freaking myself out. Regardless, I'm satisfied and I don't think I'll stop buying it. Rated 5 out of 5 by SDL1540 from Transformed my dry damaged hair I purchased this 3 weeks ago and cannot believe the results I have had using after each shampoo. My hair was seriously broken off and damaged from a Keratin treatment gone bad and after 3 uses, my hair had been renewed as much as it can be. Rated 5 out of 5 by lalizzzi from Wonderful I am a swimmer. The chemicals in the pool ruined my hair. This product along with kerastase products, Has made my hair brand new. I highly recommend everyone try it. Within a week I started seeing results. Rated 5 out of 5 by Bmomma3 from Fitting that's it's in a gold bottle! I just bought my second bottle... I can't go without this. I have 40 year old thinning, color treated hair.. that has been just limp and tired looking. This product gives me shine and bounce (along with a few other Keratase products that I won't go without either) I'm so glad it was recommended to me. It gives the look that an oil would but not greasey or weighted down. Rated 5 out of 5 by Marcat929 from Just what I needed! I'm on my second bottle of this wonderful stuff!!! First off it smells heavenly. I wish I could find a perfume that smells like this. I have mid 40 color treated hair that is thinning and just plain blah. Since using this serum my hair loss is almost non existent. I used to find a clump of hair in the shower drain every time I washed, no more!!! I will NEVER go without this product. My hair is shiny bouncy and feels so soft. I use everything kerastase and I love it! Again the smell of this serum is INCREDIBLE!!! I highly recommend this product. The bottle lasts quite a long time too. Rated 4 out of 5 by Dissapointed from Would have been 5 stars except no discount applied Had code for 20% off. This is second time I was not allowed to use my discount codes. Love products but will not be ordering again in future and will be cancelling auto ships if this cannot be fixed. Rated 5 out of 5 by jimcca from A must have for your hair! I keep coming back to this time and time again. Although it is a little pricey it is well worth it and for me it lasts for 3 months. With continued usage my hair is softer, has less split ends and I have even experienced new hair growth. My hair feels and looks healthier and fuller. I would recommend this to everyone! Added bonus it smells amazing as well. Rated 5 out of 5 by Aprlgrl from growth Best product I have used for my hair growth ! I can't be without this product ! It is truly amazing ! Rated 5 out of 5 by Diane A from Can't live without I read the reviews before purchasing and decided to try it. I can't be without it. You notice immediately softness, shine, strength and since I have used it I have new hair growth. Yes very expensive and will last you about a month but worth every penny. Rated 5 out of 5 by Jazzy Jay from Amazing product! I've been using this product for a couple of weeks now. I have fine thin hair, with a lot of fallout! But since I started using this product, It has help tremendously with hair fallout ! My hair is starting to feel and look healthy! Smells amazing! this has definitely become a MUST in my hair regiment! Will continue to repurchase, worth the money! Rated 5 out of 5 by Kyliesmommy from Love this Product! I am about to buy for the 3rd time!! I can totally see a difference in my hair. I started this time using on my daughter's hair and I think it has done even more for hers!! Her hair is soft, thicker, and shinier. My hair is typically so dry from highlights and even my hair dresser was running her hands through my hair and noticed a difference!! So happy to have this product. Rated 5 out of 5 by DianaD from AMAZING RESULTS!!! My hairdresser used and recommended this product to me and I LOVE IT! My hair was thinning in the top and I can physically see a difference after just 14 days of use. I have to admit I was skeptical at first and now I am a firm believer and forever customer! Rated 5 out of 5 by Veronika_P from Love!!! love this product! My hair for some reason was falling out a lot I heard about this product and decided to give it a try. I've used about 3 weeks now and I've notice very little fallout. Rated 5 out of 5 by reneesance from Wonderful Shine I have been using this for several months and can honestly say it has added shine and manageability to my hair. For the record, my hair is a crazy mix of curly, wavy, and even some straighter pieces, and this stuff really helps! Rated 5 out of 5 by Tammie from Shine, Shine, Shine I have been using this product for one week and I can tell a big difference in my hair. The shine is amazing. Love this...My new go to product from Kerastase. Love all of Kerastase products. I have never been disappointed any in any of the Kersatase products. Rated 3 out of 5 by Happy from Its good I am using this from 2 weeks along with BAIN STIMULISTE GL and BAIN EXFOLIANT HYDRATANT because i have dandruff and bad hair fall. Without any doubt my hair feel soft but hair loss is not much in control. 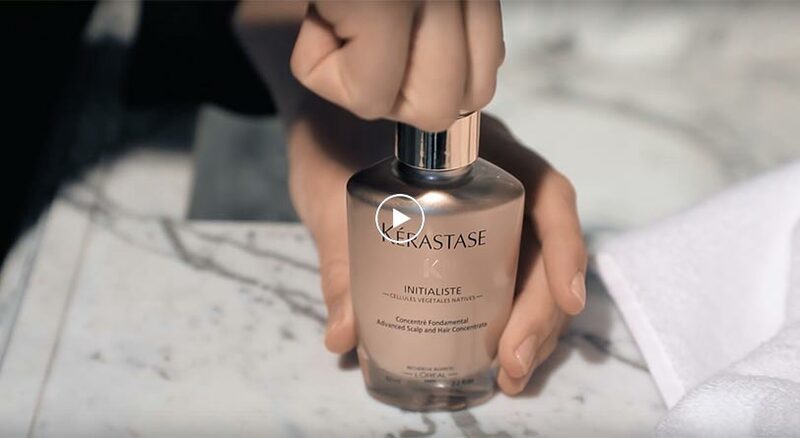 I can see there are so many other products from Kerastase for hait loss and I am really confused what all I should buy. Can someone please help me . I have shoulder length hair,have become very thin and too much hair fall. Rated 5 out of 5 by lavenlilly777 from Love it! I use this a bit different. I have very very long hair and I only color the front and gloss the rest . Its kinda wavy and sometimes frizzy. I also only wash my hair twice a week. the night before i wash my hair before i go to bed I out this on the roots and massage in my scalp. I also put it on the ends. I love it! Rated 5 out of 5 by silvia from Keratase serum My daughter turned me on to this Keratase, my hair had been severely damaged from me coloring it so much so I ordered it and the first time I used it I fell in love with Keratase my hair is healthier and shiny, my hair stylist noticed my hair healthier and I continue to use it everyday, I have auto ship which I love. Rated 5 out of 5 by Korry Will from Absolutely great! This is my second time using this and I can see my thin , blonde, highly processed hair coming back to life! I can only say that I finally found the product and the line that I will always use from now on! Simply saved my hair! My hairstylist was so happy when he saw me with this nice , healthy looking, soft to touch hair! It gives not only shine and body but it feels so good to touch and it looks great! I use this in combination with the oleo serum. The only downside for me is that the bottle seems very big but is so little product inside! And I am only using 3-4 pumps.! !